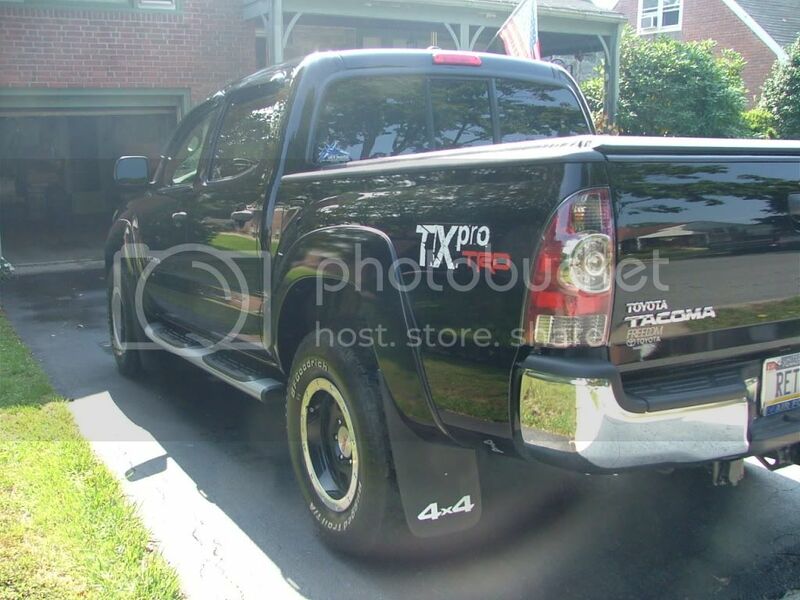 Discussion in '2nd Gen. Tacomas (2005-2015)' started by JoePa Fan, Sep 23, 2010. Looks sharp chrome and black combo looks sweet.......normally i'm not a fan of chrome grille, but with your side steps, and chrome tip and especially the rims, i think the chrome grille is perfect.....very nice looking truck. Your the first one I've seen posted. Congrats... by the way how much did it cost you out the door. 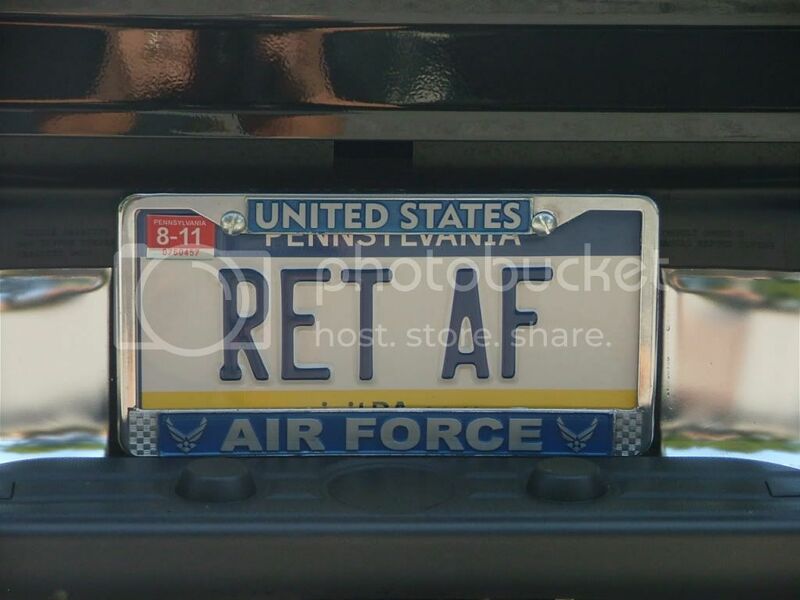 Do you get out of speeding tickets with that license plate? I've been thinking about serving my country for a few years so I can speed. Sticker was $35,132.00 and out the door for $31,563.00. Sold at invoice plus an additional $500.00 military rebate. Super sick truck! Congrats, I'm sure you deserve it! Very nice! I'm liking those wheels. Off-Road package, V6 Tow package, 4X4, 6-CD changer, 6-speed manual transmission, double cab, black. very nice truck, GREAT choice on the color. Oh... and WE ARE... PENN STATE! Very nice truck and I like the license plate.